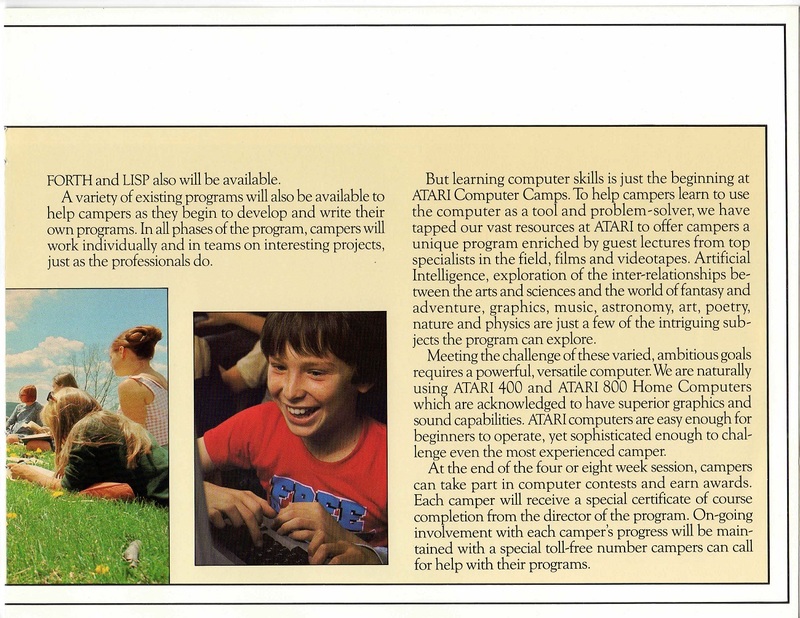 The computer camp concept was pioneered in 1977 by Dr. Michael Zabinski, a physics and engineering professor at Connecticut’s Fairfield University. 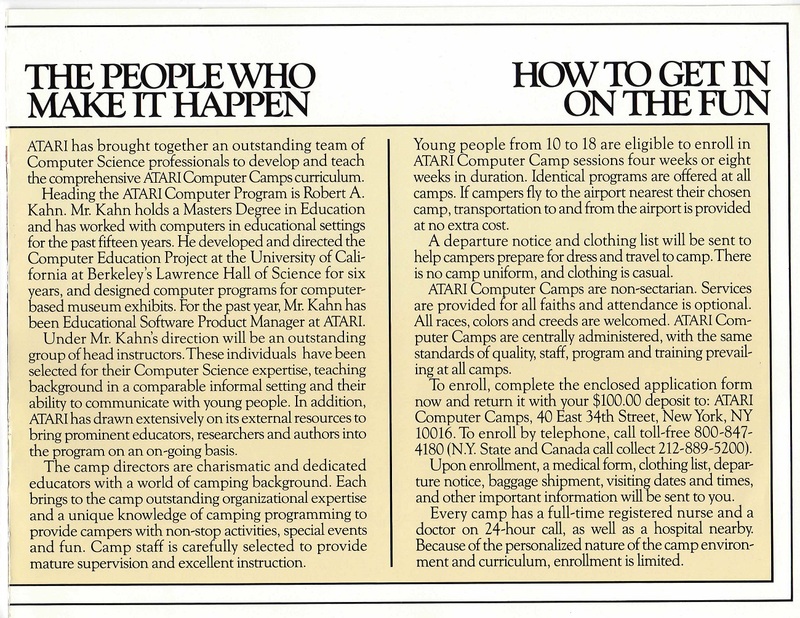 Zabinksi had received “several federal grants to train teachers at the University to integrate computers into their classrooms,” and wisely thought of merging summer camp and computer training to reach young people. 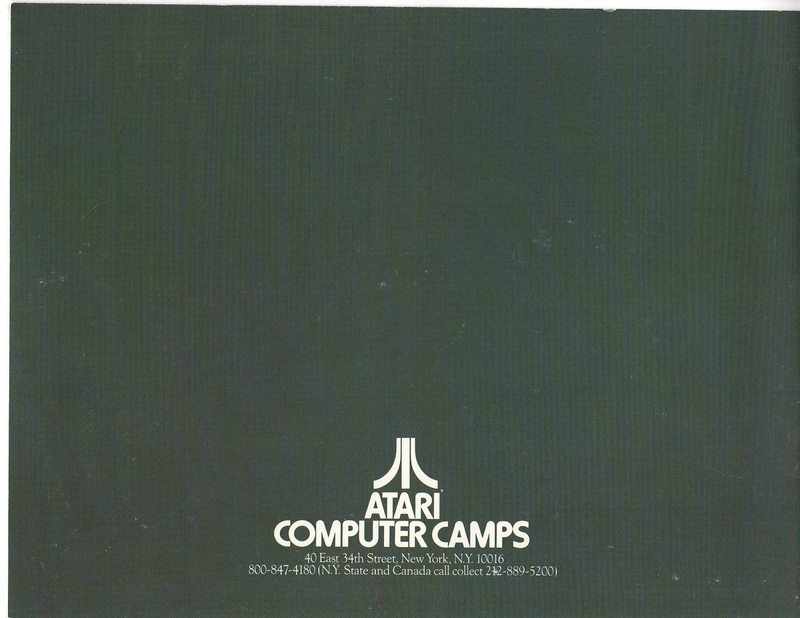 The first National Computer Camp was held in 1978. 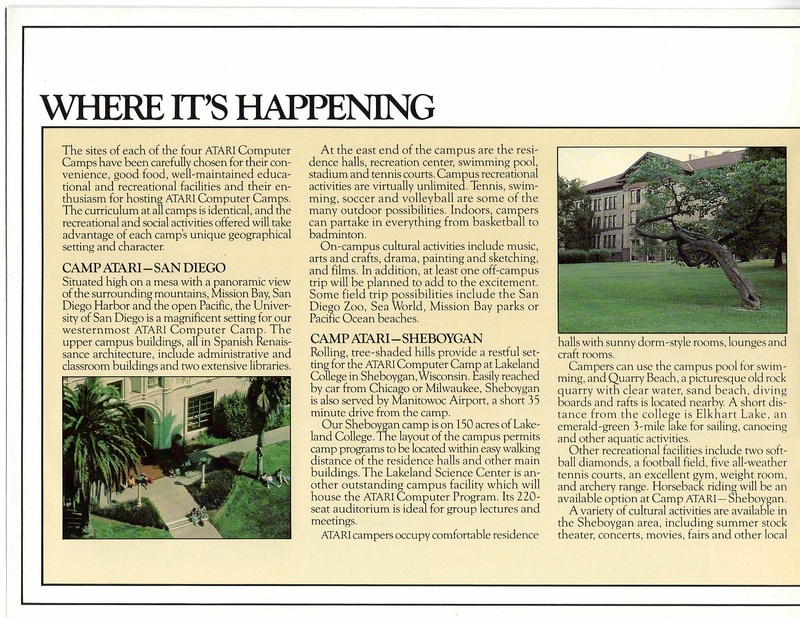 NCC is still going. 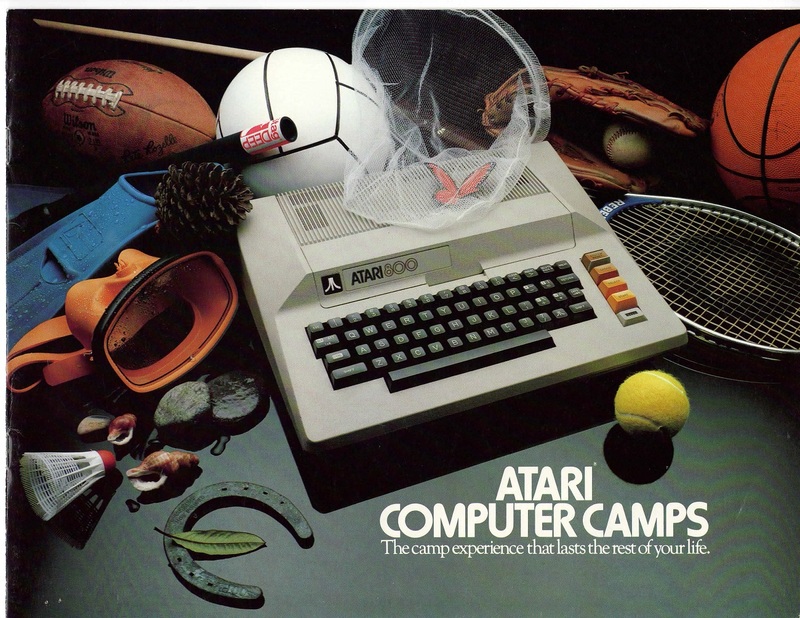 I talked about the Atari camps, with a breakdown of the hefty cost and daily schedule, here. 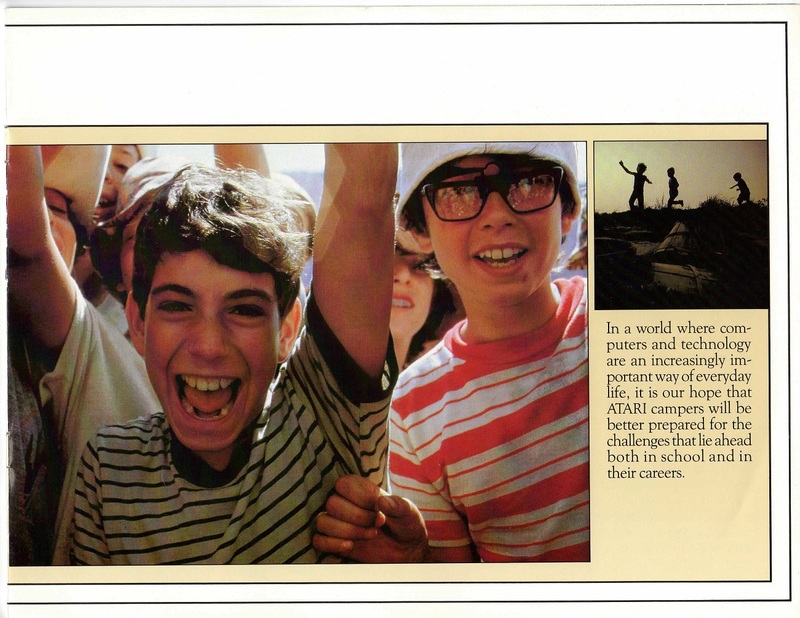 There was a big push to get girls more involved with the Atari camps, as seen in the 1983 article here. 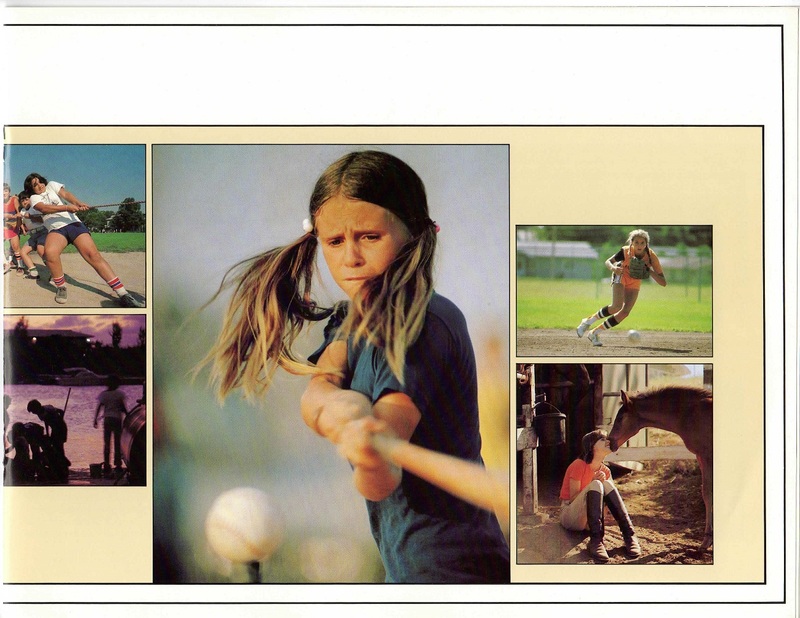 Girls are also heavily represented on the brochure. 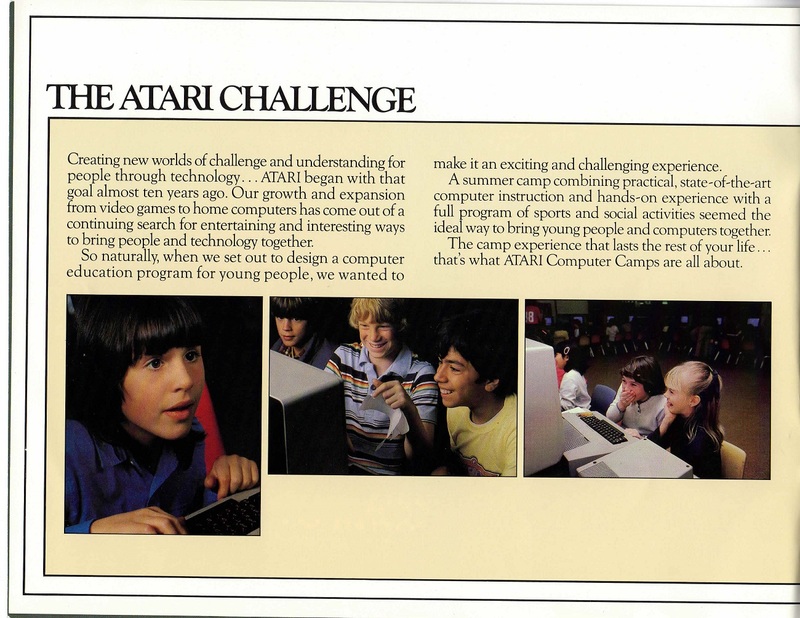 Unfortunately, the male computer whiz stereotype established in the early ’80s stuck, and the number of women majoring in computer science peaked in 1984 at about 37%. That number has dropped steadily ever since and currently hovers at between 15-20%. 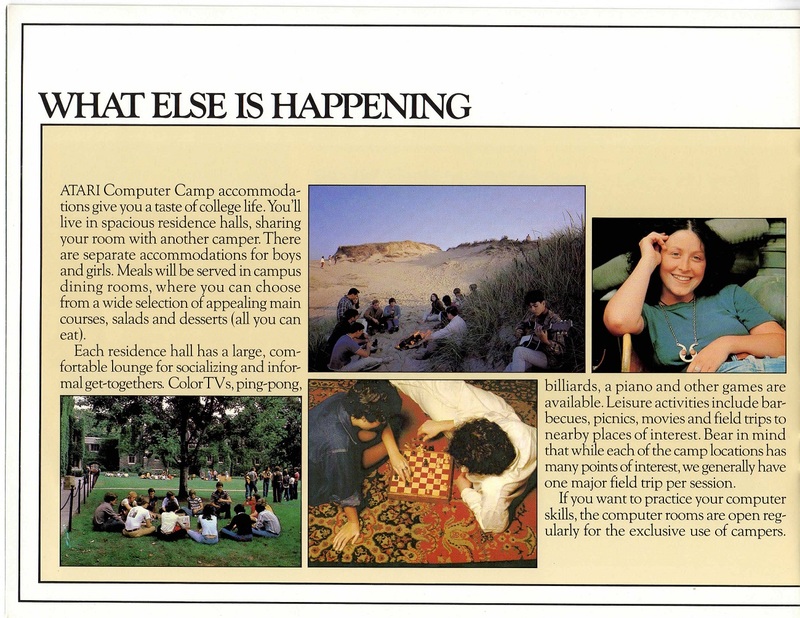 I have no doubt that the camp experience “lasts the rest of your life.” I don’t remember hearing about it at the time, or maybe I did and simply put it out of my head: my parents would never have been able to afford it. 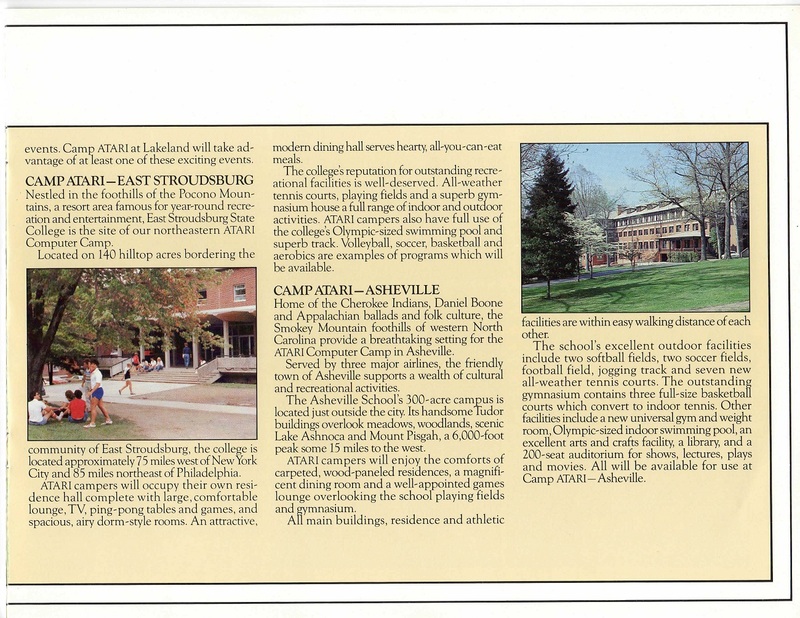 I found the brochure at Robert A. Kahn & Associates, the company that designed it. The PDF is here. 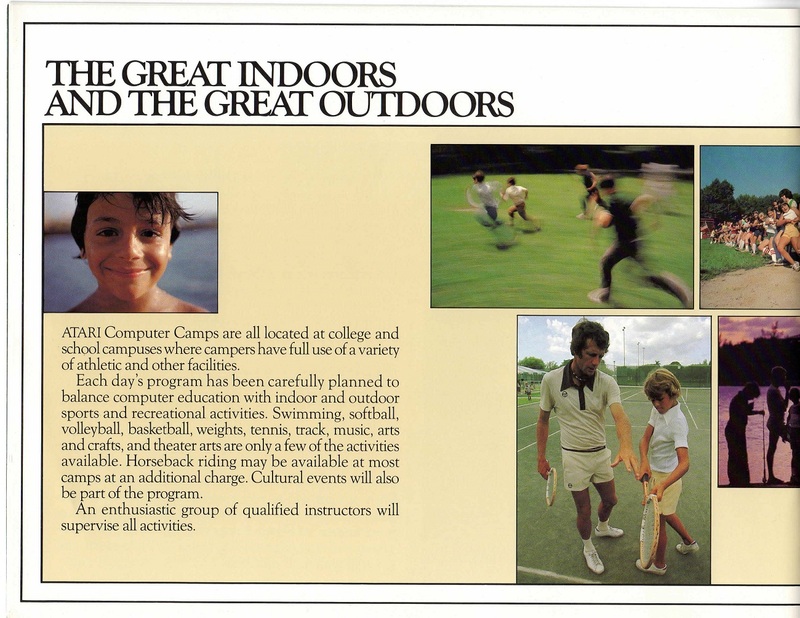 You have to admire how many activities were crammed onto the brochure cover, including, for some reason, catching butterflies. 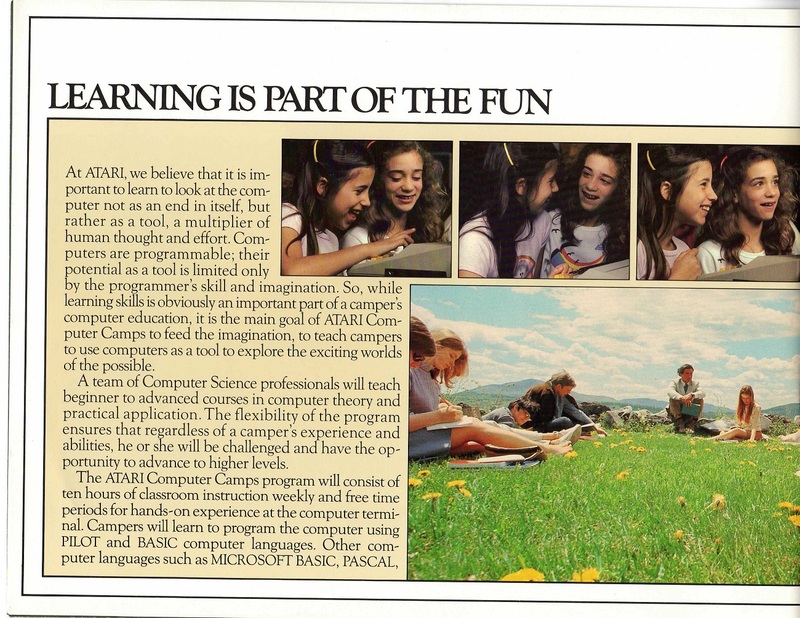 I had forgotten that Pascal and LISP were available for the Atari, pretty amazing. I didn’t learn LISP until college, where my pals and I immediately decided the name was an acronym for “Lots of Idiotic Silly Parentheses”. It’s a terrible name for a programming language, especially if one happens to have a lisp!